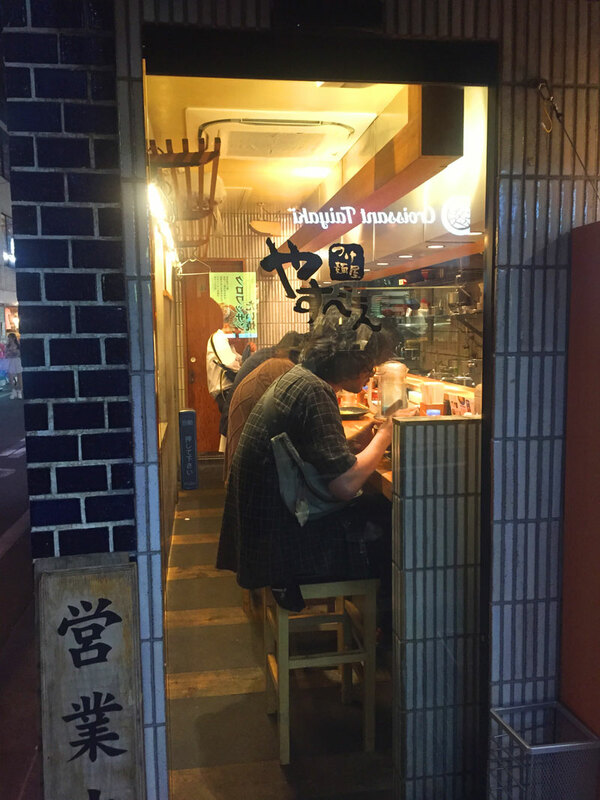 Yasube is one of the most famous franchise ramen restaurant in Tokyo. This is well known for its great cost performance. 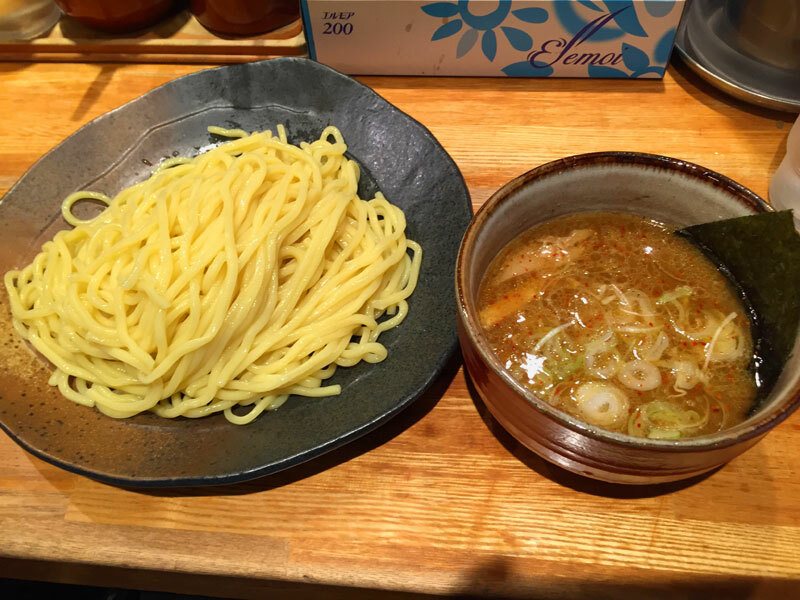 Basically, Tuke-men is 760yen but you can choose any amount of noodle from 180g to 440g. Therefore, this restaurant is highly admired by both students and working adult. Also, free onion and fish powder on the table is notable. There are 7 seats. counter style. 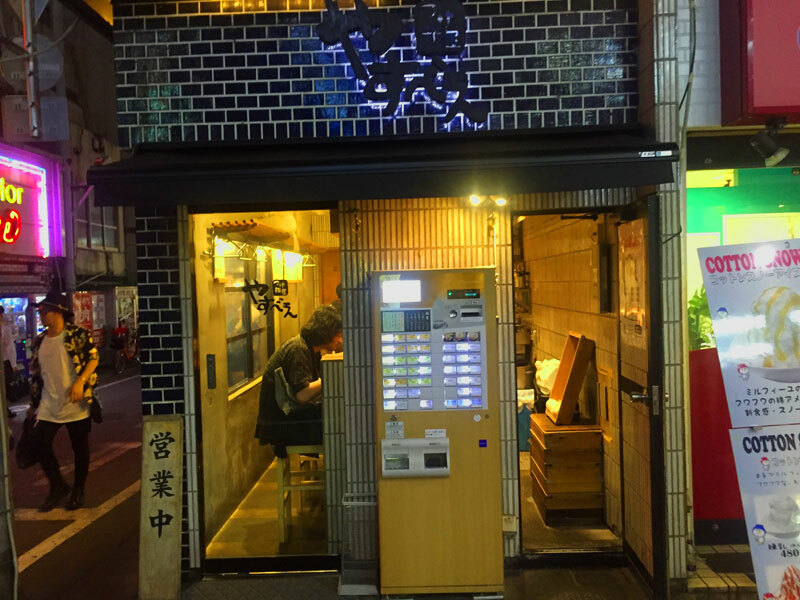 Yasube serve both ramen and tsuke-men but all customer visit here seems eating tsuke-men. 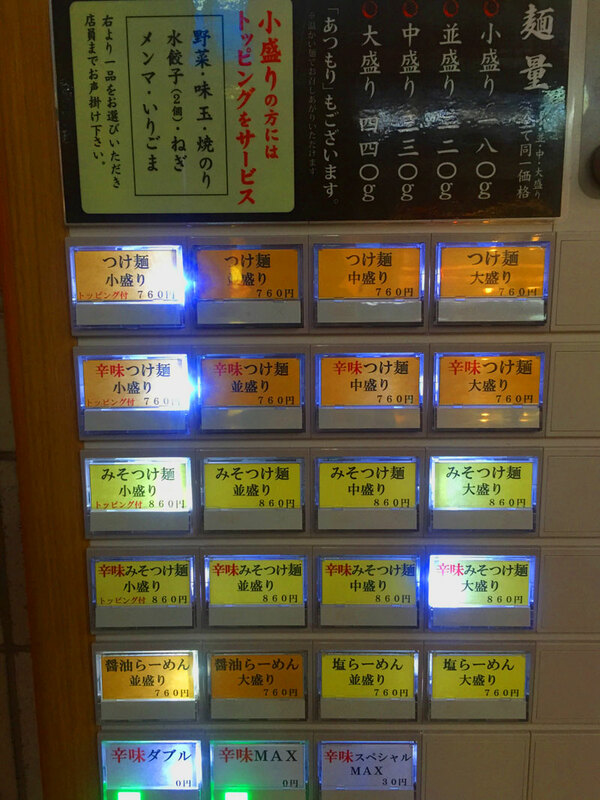 I also recommend to try tsuke-men here. Soup: composed by the harmony of meat, fish, and vegetable. Mild and sweat taste. Noodle: thick and well springry texture. Topping: There are several roast pork and pickled bamboo shoots inside of soup. Also, there are free onion and fish powder. Please feel free to use it. This time I ordered 330g amount of basic tsuke-men but it was way enought to fulfill my appetite. Please try 440g some day.